As most of you already know, I am a mother of two lovely girls. I have a day time job, and I love to write after work hence you could imagine how busy my lifestyle is. I am also an outgoing person and I sleep less than 8 hours a day. Despite my busy lifestyle, I am always trying to stay fit and being active because it enables me to keep up with my two little girls, and I want to make sure that I am always here for them. 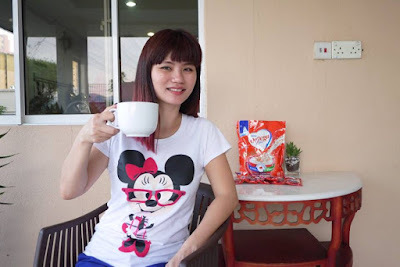 Hence, I always try to eat healthily as well as work out regularly at the gym, swim and jogging when I have time. But honest speaking, you know we Malaysians love heavy food such as Nasi Lemak, Laksa, Rojak, Satay etc it’s actually quite hard to diet right. 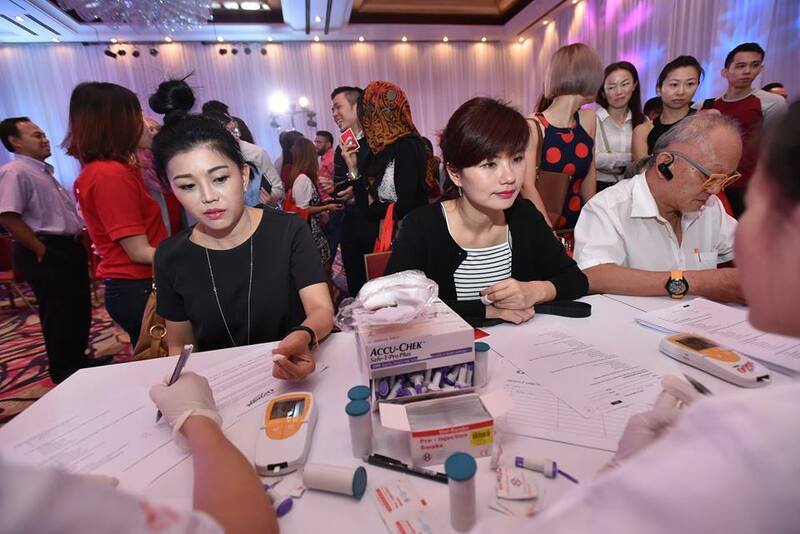 I get to know that Malaysians are getting heart disease much earlier, and 47.7% of Malaysians 18 years old and above are having high cholesterol from the Nestlé Omega Plus® Milk with Oats launch event last week. I also have seen skinny people getting high cholesterol index from the analysis during the event. 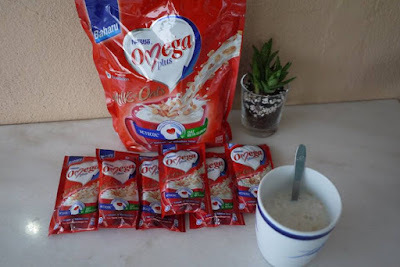 It has alerted me and I have started preventative heart care with Nestlé Omega Plus® Milk with Oats with “The Power of Two” naturally derived cholesterol lowering ingredients – Acticol® and Beta-glucan since then. 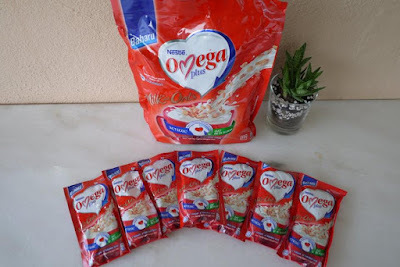 A pack of with Nestlé Omega Plus® Milk with Oats costs me only RM 19.98, which contains 10 sachets x 42g in a pack that is enough for 5 days (2 servings for day). I carry a sachet or two with me to the gym, or when I’m on the go because it is really easy to prepare, and ready to drink almost instantly. Just add 200ml of hot water and stir well, I’m ready to go with the power of two cholesterol reducing ingredients. 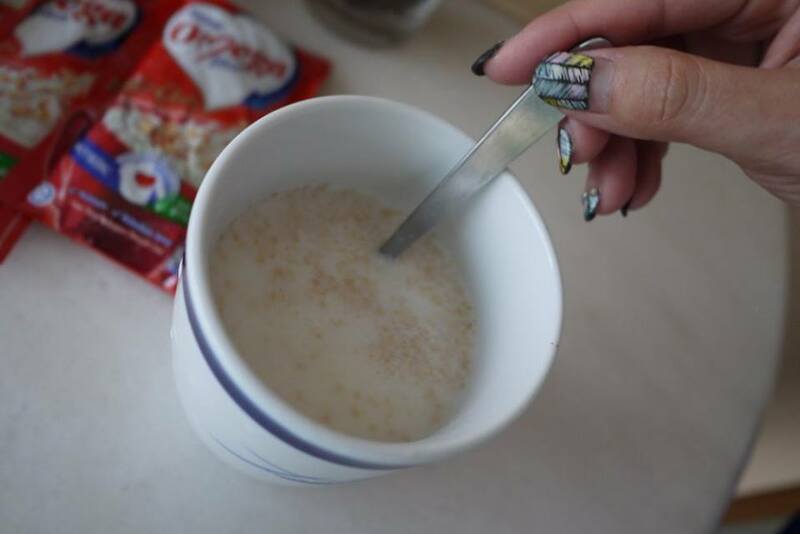 And the best part is, it taste really good, not too sweet and smell nice of milk and oats. 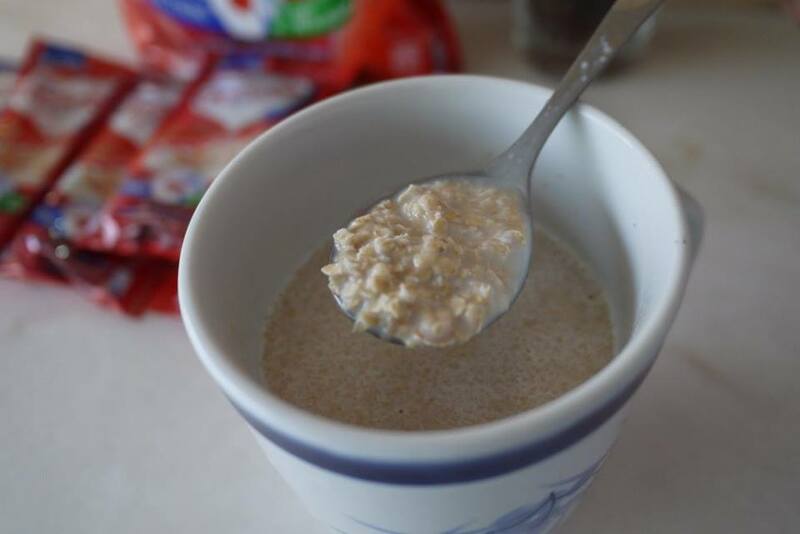 A cup of Nestlé Omega Plus® Milk with Oats keeps me moving for hours. I could live life to the fullest with Nestlé Omega Plus® Milk with Oats, and enjoy my outings time with my children. 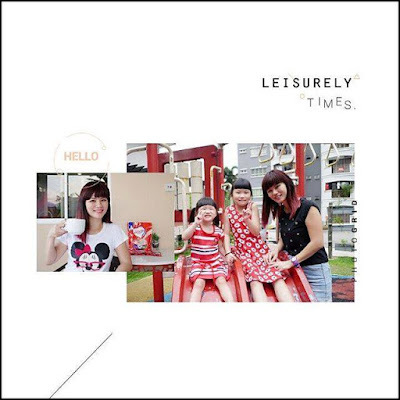 I hope that with this small lifestyle changes, I could have a healthy body to raise my girls. Nestlé Omega Plus® Milk with Oats is available at AEON, AEON BIG, GIANT, TESCO, ECONSAVE and MYDIN. Grab yours now and I could assure you have no regret on this. Great product.. Looks nice to drink and it's healthy.. Definately will try it out! I want to stay healthy too. Need to stock up some. 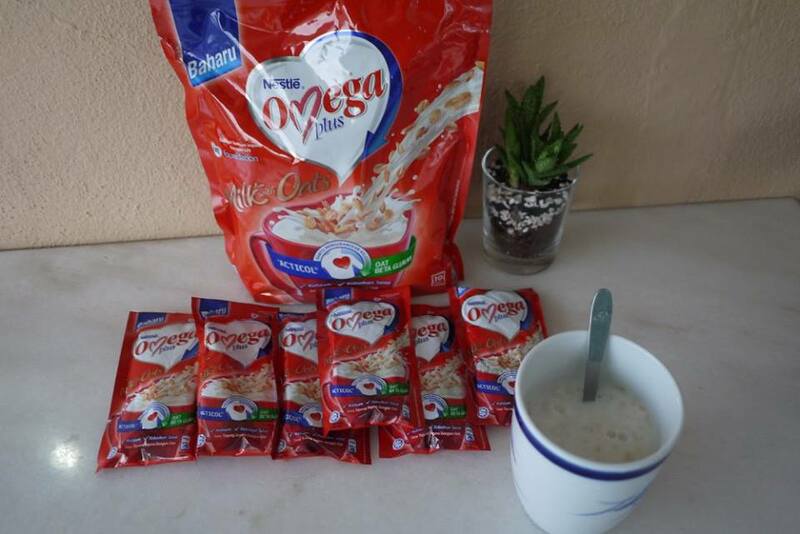 There are a lot of advertisements on TV about this Nestle Omega Plus, maybe can try it in future. I just bought these and haven't got the chance to drink them yet. After reading your post, will have it for breakfast tomorrow morning. Hmm i must really try this product some day as not very good at eating breakfast. Thanks! 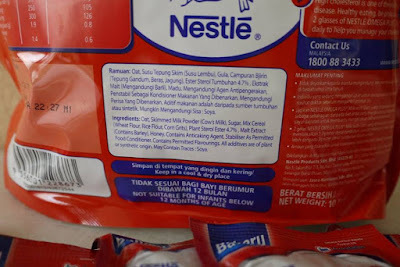 I like Nestle drinks. They taste good and they are good for health too. 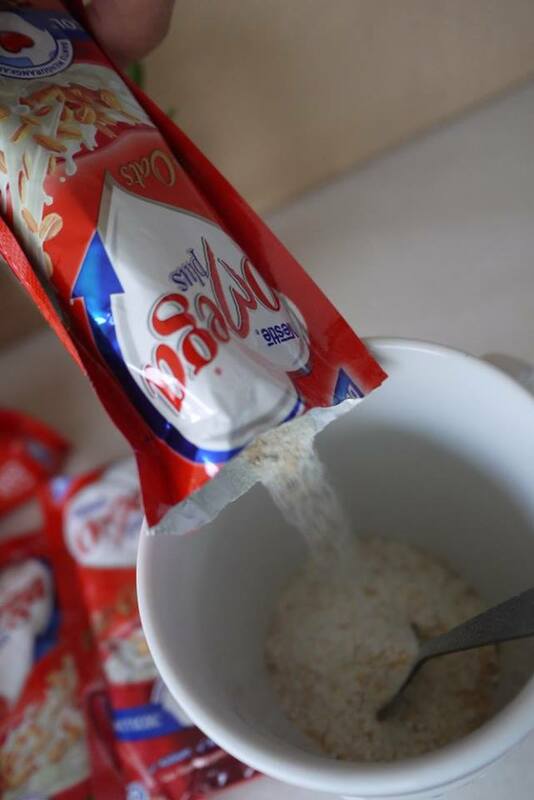 i've been taking quacker oats, might try this soon. Omg look at my scared face when doing my blood test, seriously I am scared of needle and pain. I like the new milk with oats, its really satisfying and convenient.